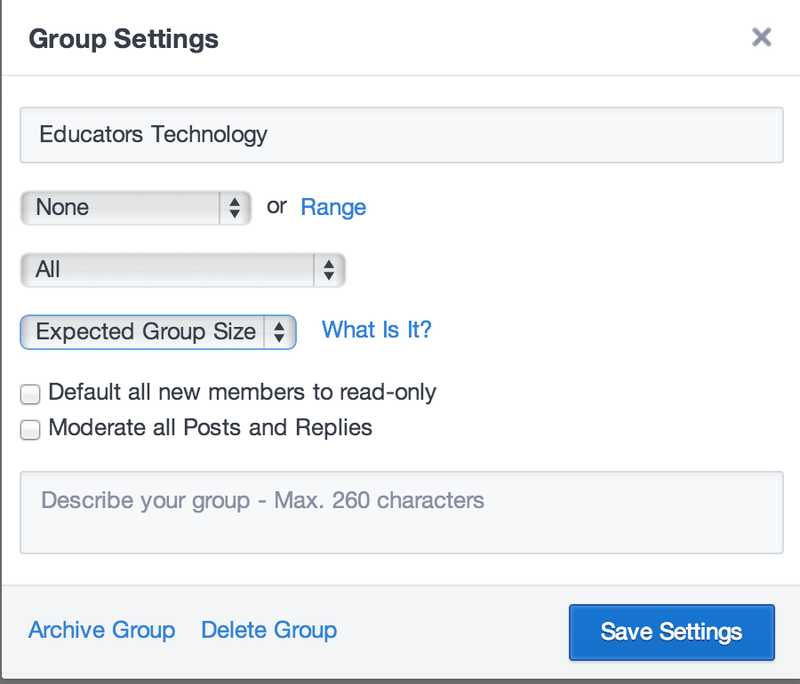 Edmodo is a great online platform with huge educational potential for teachers. 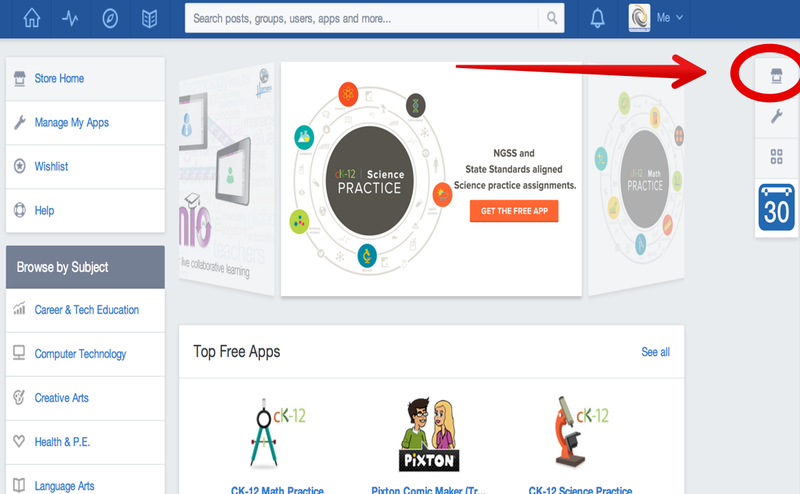 Since its launch a few years ago, Edmodo is being used now by huge number of teachers and schools from all around the globe. 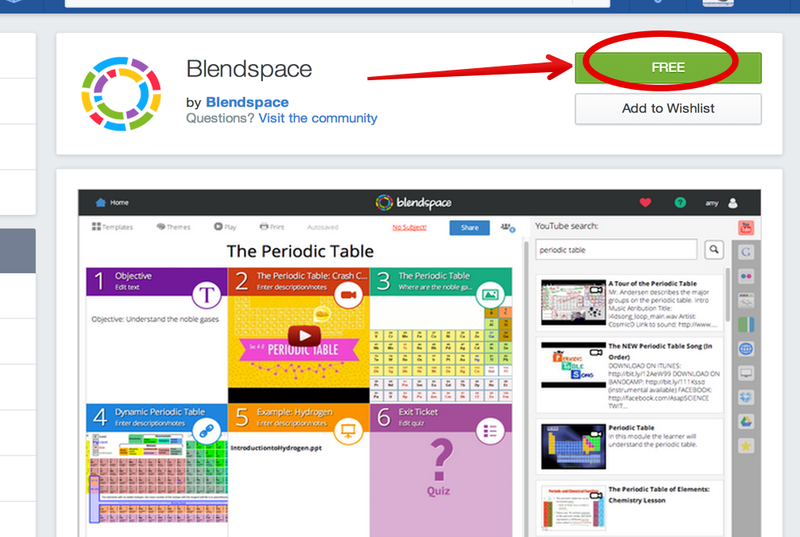 Given this mounting importance of Edmodo in teaching, I created a section where you can find a plethora of resources, guides, and materials on how to leverage the power of this web tool in your classroom, check out here. 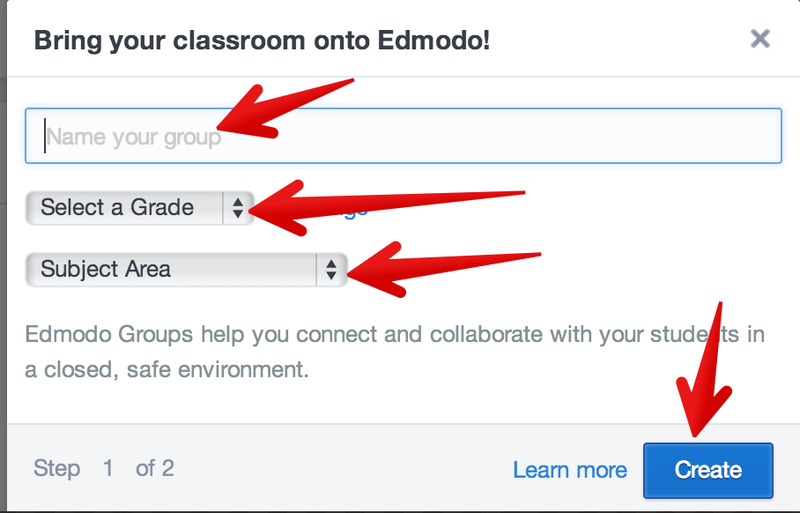 Today, I am sharing with you two important things every teacher should be able to do on Edmodo. These are : creating a classroom group and adding apps to this group. 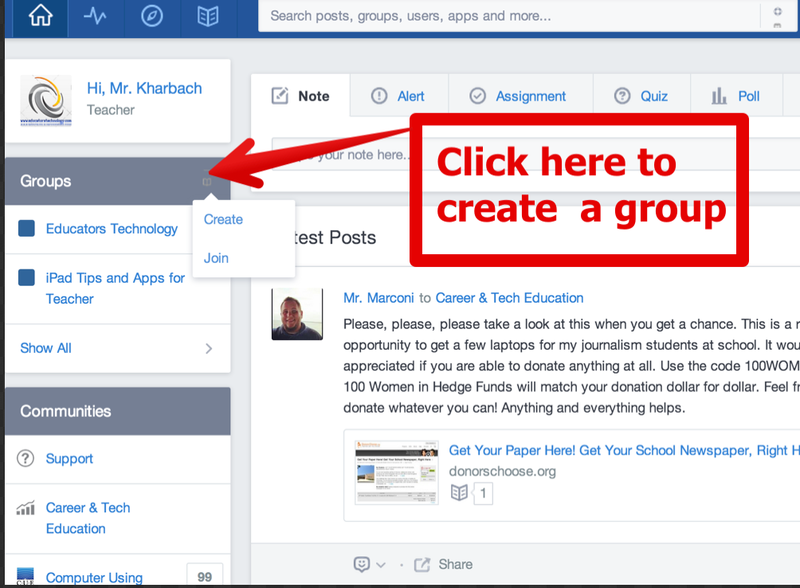 Now that your group is created you can start adding apps to it. 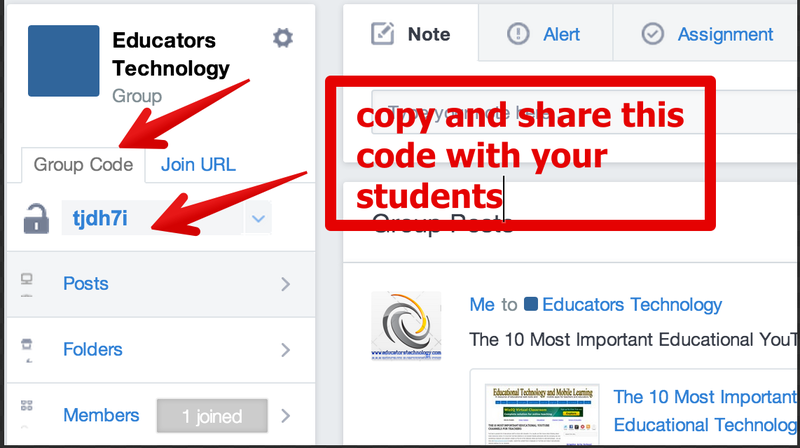 The good thing about this feature is that any apps you add, students will be able to access it using their own Edmodo accounts. This is how to do it. B- Search for the apps you want to install. 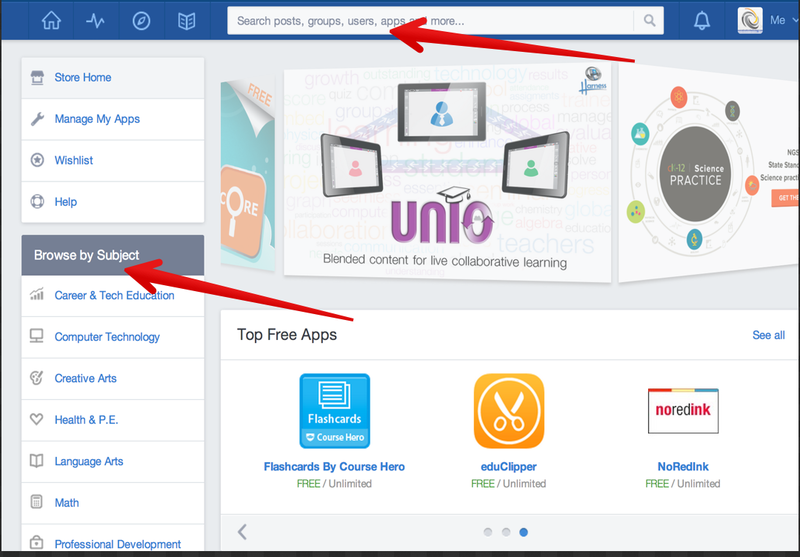 You can browse apps by subject from the column on the left hand side or use the search bar to look for a specific app. 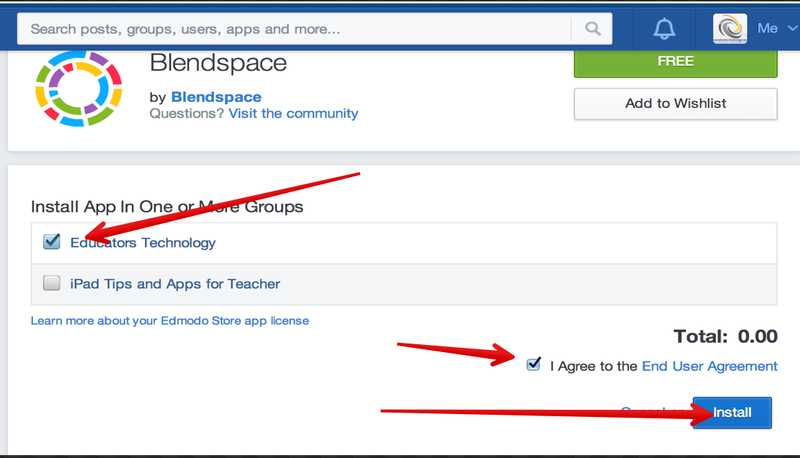 C- Once you find the app you want , click on "free"
D- Next select the group you to install your app in, tick the agreement box then click on install. 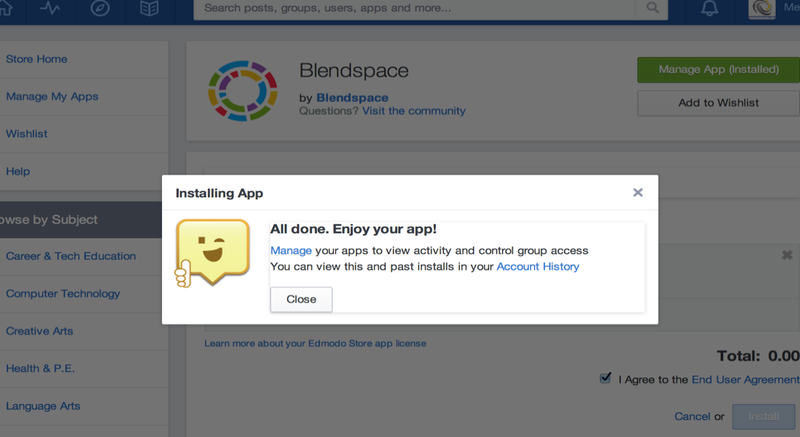 E- A pop-up window will tell you that your app is installed and ready to be used.